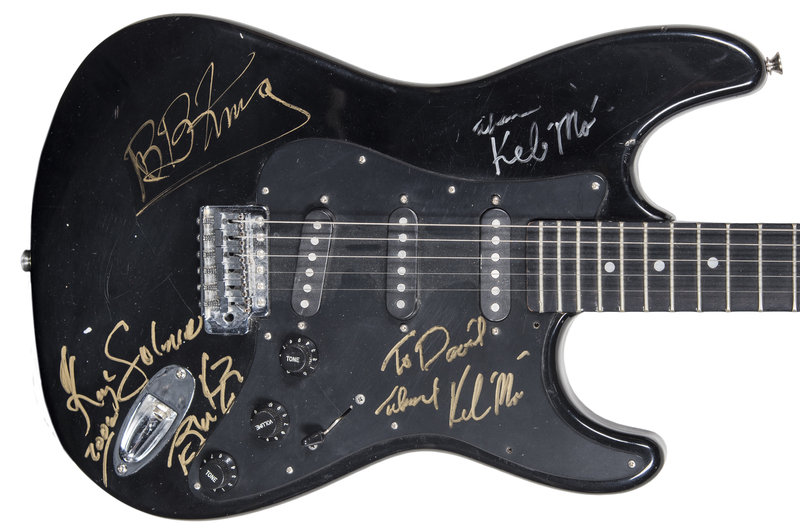 This jet black El Degas guitar has been signed by a trio of blues legends. 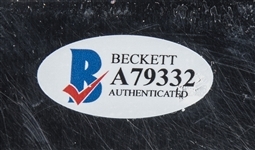 Signatures on this electric guitar include B.B. King, “King” Solomon Burke, and Keb’ Mo’. Solomon and B.B. 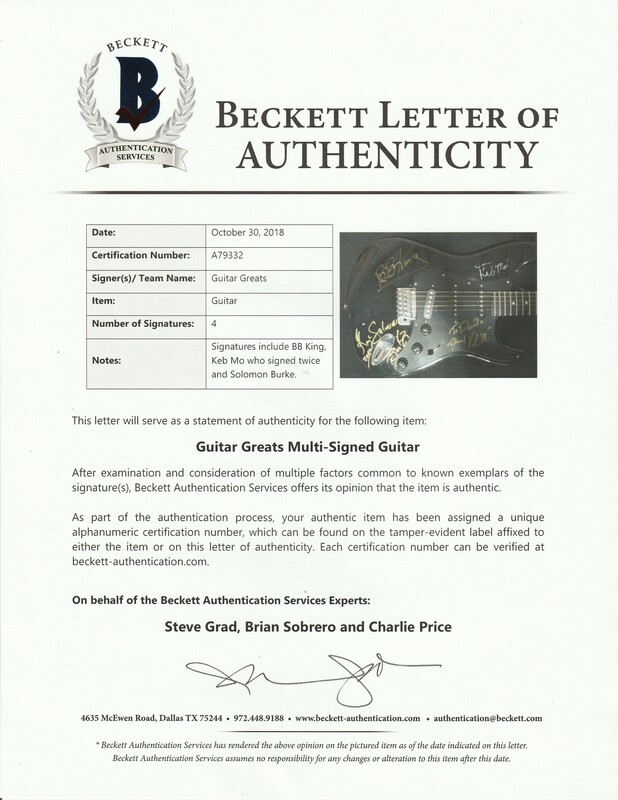 King have both signed the body of this guitar, which is missing the high E string, in gold marker. Keb’ Mo’ has signed this guitar twice, once on the pick guard in gold marker and once on the body of the guitar in silver marker. He inscribed “To David” on the signature on the pick guard. 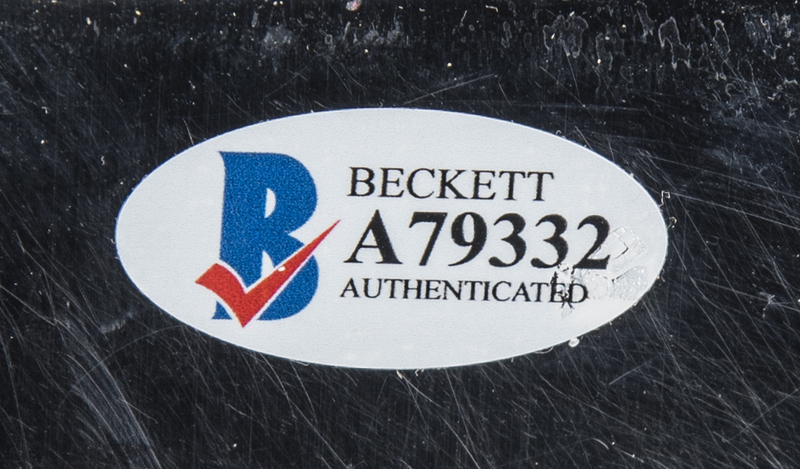 This guitar comes with a LOA from Steve Grad of Beckett Authentication (A79332).